The interface is still very much centered around arrow keys/a d-pad. Touch input does work, but text is very small on a phone and not much better on a tablet. 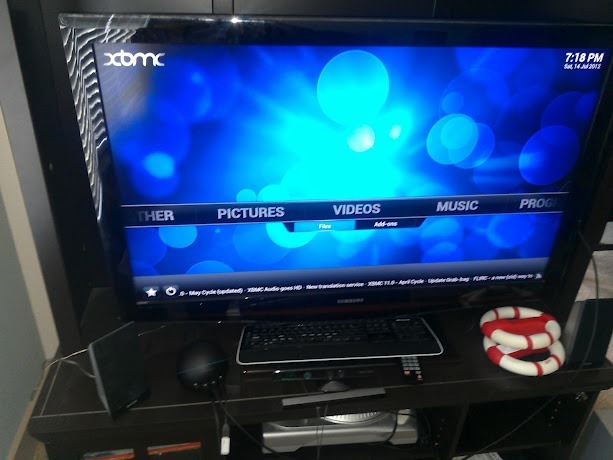 This is still the TV-centric XBMC you're used to, so unless you have a set top box that can run Android apps, or a device with HDMI/MHL out and some Bluetooth control mechanisms to help you out, this probably won't be of much use to you. Then again, as an unfinished port, this won't be much use to you anyways. We'll be keeping a close eye on this project as it develops. Hopefully it will grow to be as powerful as the version for desktops is. Maybe that Nexus Q will get some use after all?